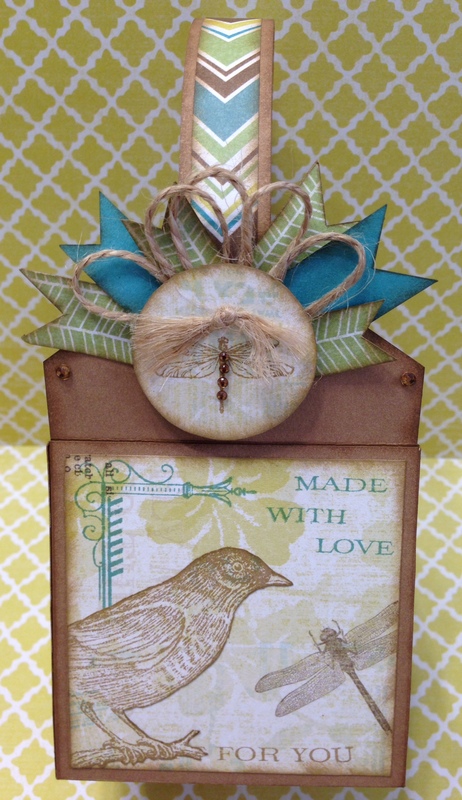 This is a tiny 2″ gift box done from the Ivy Lane Paper Collection. Very simple for it is so small and doesn’t need a lot of embellishing. It was quick and easy and only took about 35 minutes to make. 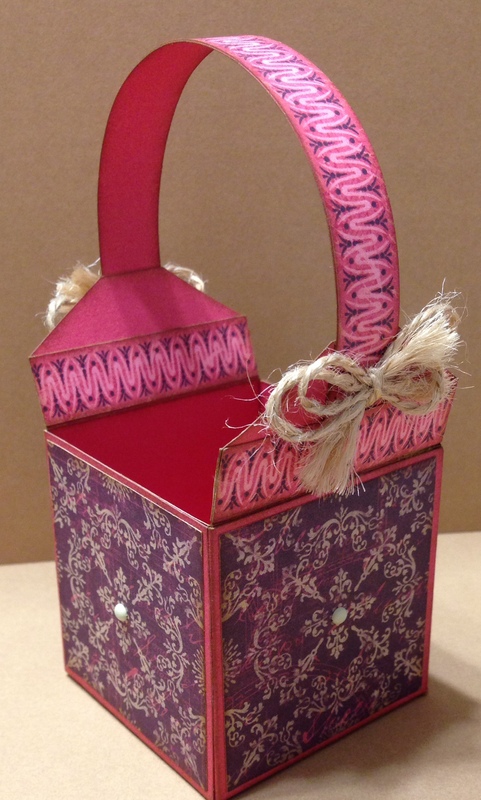 I used the Cards and More Basket pattern to create the box and then embellished it. 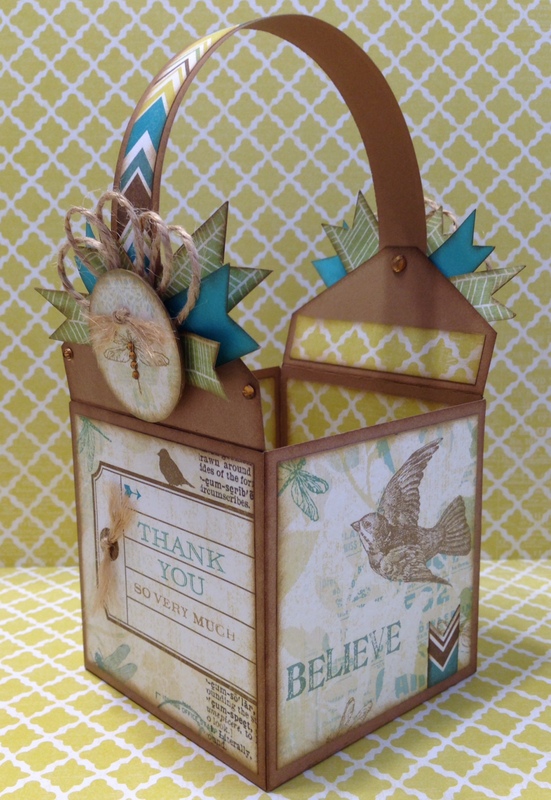 Remember to get the Cards and More Basket pattern from Inking From The Heart to make this. I just made it a lot smaller and left off the side panels that are in the full version of the basket. 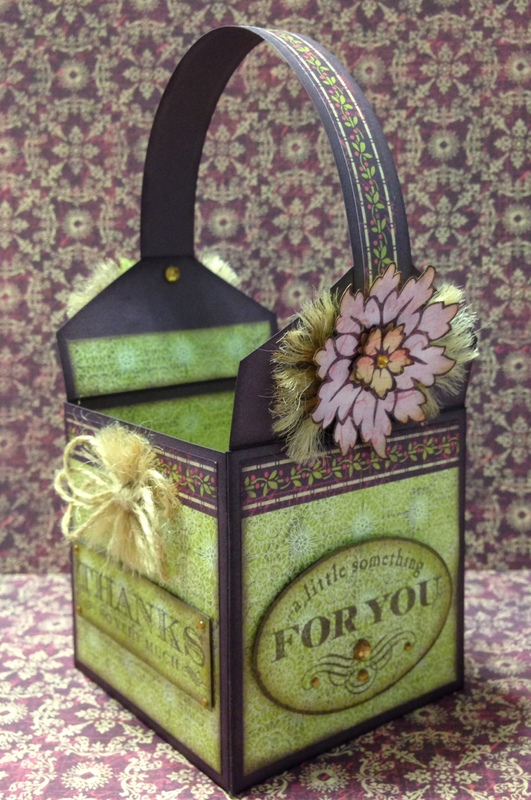 It is perfect for just a few pieces of candy or a little trinket of sorts as a thank you to someone. 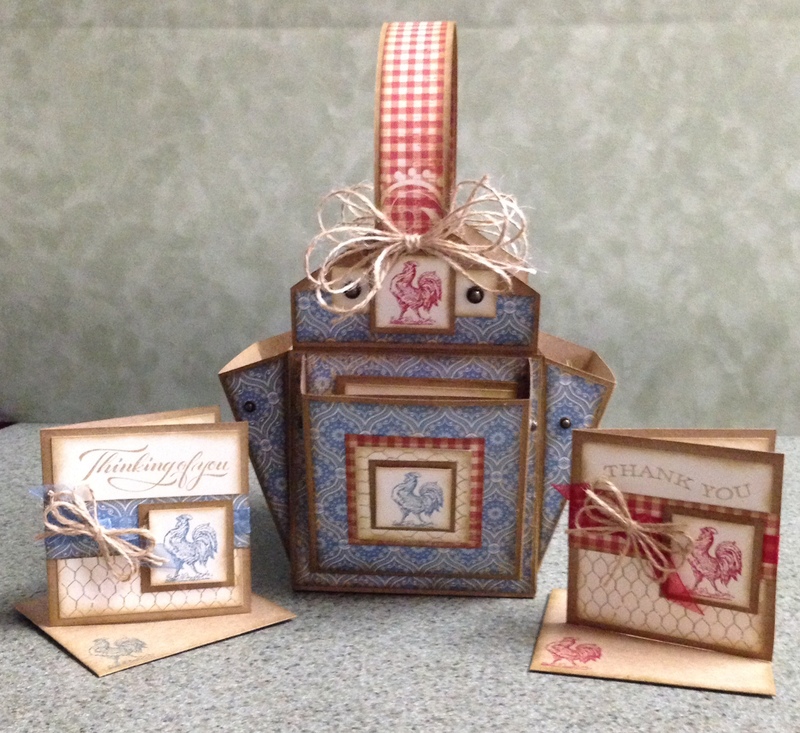 Cards and More Basket Pattern by Madeline Morcelo of Inking From The Heart Blogspot. 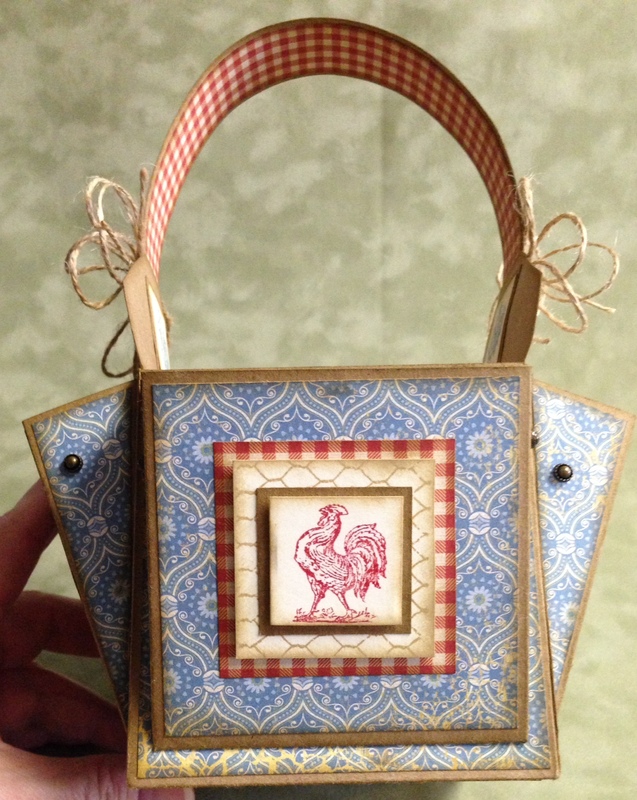 Madeline Morcelo’s pattern “Cards and More Basket” is a great pattern. You can find it on her blog Inking From The Heart. She does such beautiful design work, I love her work so much. These are a few of my versions of the pattern. The Black and White are done from the For Always Paper Collection. The Red, Black and White one was done for a teacher Anita Shackelford and The Blue one was done for the other teacher Joan Knight. They were the teachers at the Retreat my husband and I attended in April. They give so much to us in product and in knowledge that I wanted to do something nice for them. They were liked and a big hit at the retreat. The pattern is so easy, be sure and go to Madeline’s blog and purchase the pattern. It is only a $5.00 pattern, you will love it. It has great instructions and very easy to follow. 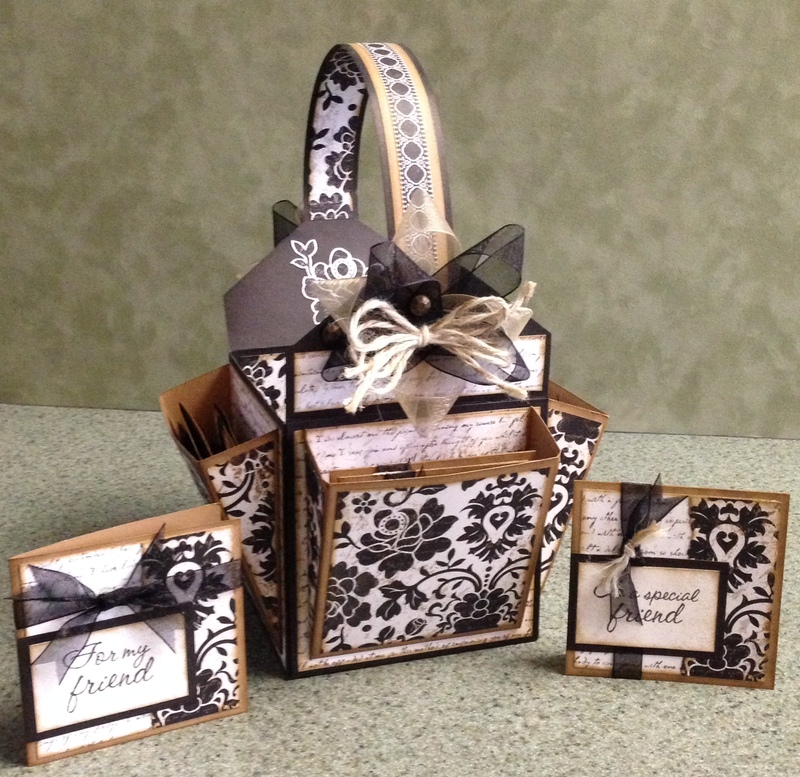 These are 3″ x 3″ Gift Bags I made using Skylark and Ivy Lane Paper Collections. They take one sheet of print paper and one sheet of card stock to complete each one. I added a little extra stamping to the Skylark version. On the Ivy Lane version I cut out one of the flowers from the pattern paper and using the Smokey Plum Ink I lightly colored it with a sponge dauber and then added another small flower to the center for an extra layer. I love my layers. 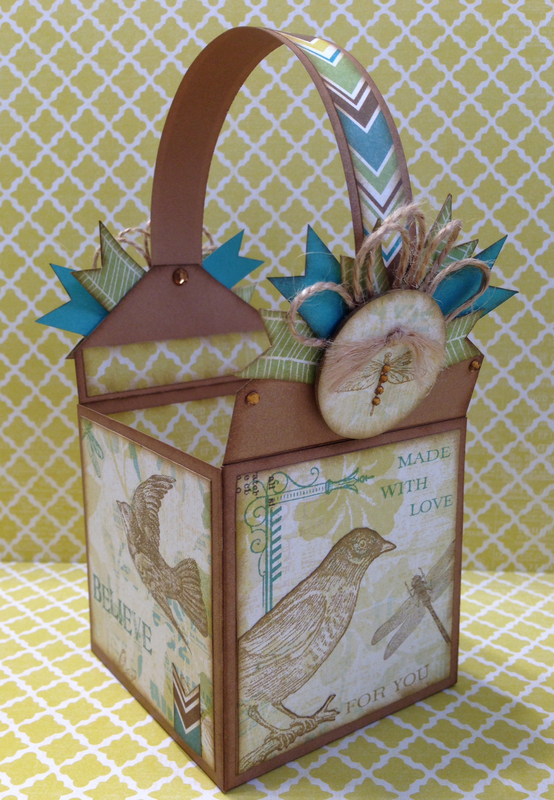 The pattern I used is from Madeline Morcelo and is called Cards and More Basket. Pattern can be purchased through Madeline at Inking from the heart. 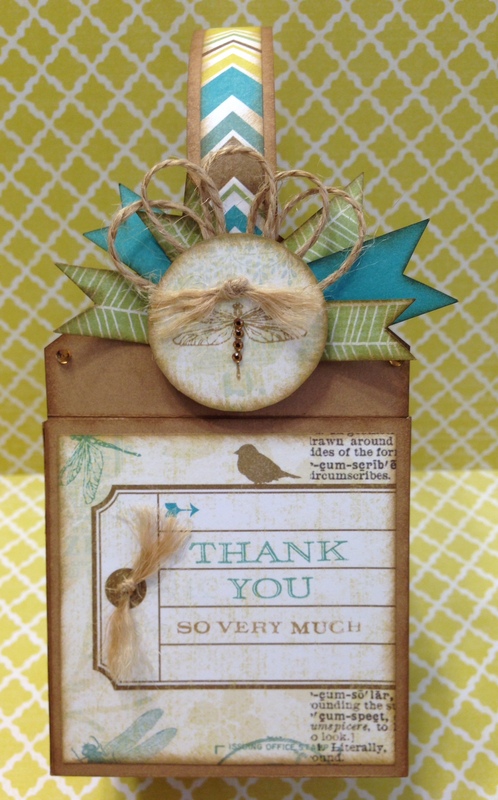 A very fun project to use as a gift bag to say thanks. 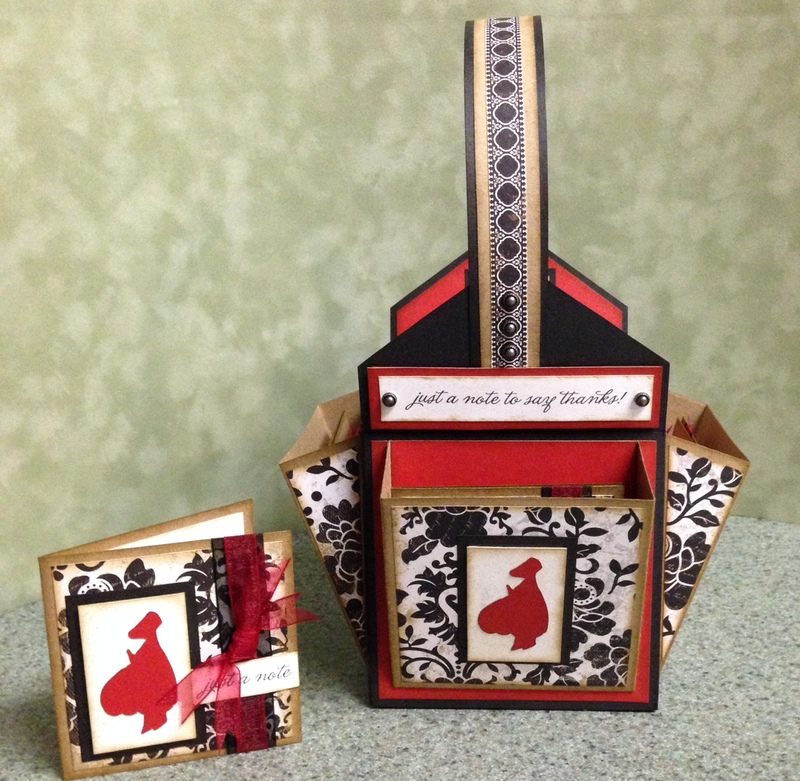 A 3″ stamp collection will fit inside as well as a few treats. What a nice gift this will make for a hostess for having a great gathering, or any other event you need a little something to say thanks and you appreciate them.